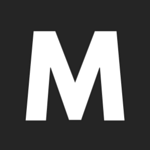 Sport automakers have ascended the auto industry’s ladder to become some of the most popular and consumer friendly in the whole world. No matter what car you drive, Mercedes, Hyundai, AUDI, Subaru, Honda, Toyota, they all compete for the creation of the perfect small and nimble sports car. Light, fast and agile, these awesome sports cars can show who's the real deal once they set foot on the racing track. There is a reason that they are so agile and that's the engine. Small and light engine enables the car to perform better on the track. 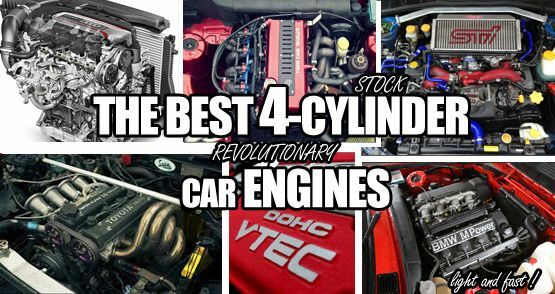 We know you love cars, so here is our list of the the best 4-cylinder engines that wrote history ! The Master of the VTEC engine. The B-series are a family of inline four-cylinder DOHC automotive engines introduced by Honda in 1989. 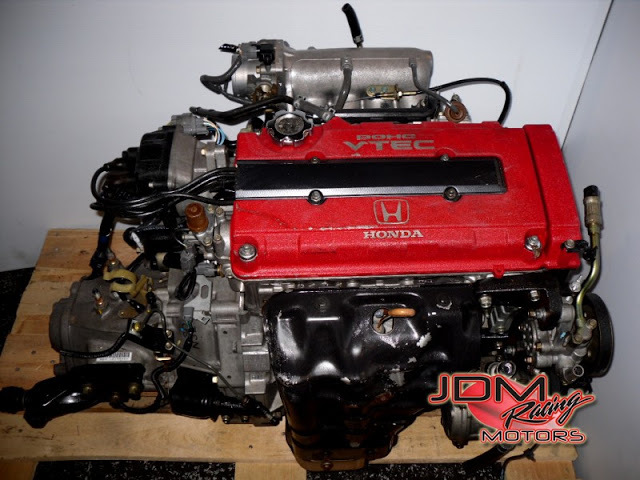 Sold concurrently with the D-series which were primarily SOHC engines designed for more economical applications, the B-series were aimed more as a performance option, featuring dual-overhead cams along with the first application of Honda's VTEC system available in some models. The B-series, the B20B variant in particular, is not to be confused with the earlier Honda B20A engine introduced in 1985 and primarily available in the Prelude and Accord-derived vehicles from 1985-1991. While sharing some design elements and both being multivalve Honda four-cylinders, the B-series and B20A differ substantially in architecture, enough to be considered distinct engine families. But this engine is popular and it has lots of JDM factor, if that’s something you are into. The ease in which the B series engine can be swapped into a Civic is frankly ridiculous, for a guide on how to swap a B series, check here. If you want to bolt it in and go without bothering to modify or improve the engine’s performance, the B18C5 is the way to go. No need to mess with cam profiles or cam gears, simply installing a Type R engine will radically transform your Honda Civic. Beware -It’s not cheap and in fact it’s still prohibitively expensive to swap a true B18C5.With the amount of normal B18a, B18B and B18C1 engines out there, it wouldn’t be financially wise to jump straight to the B18C5.